I'm going to bring this one back alive. I'm going through a trunk phase as well. I've checked the wires and they look fine however. The trunk opened via key button just now, out of now where when I pushed it. Then when I closed it and tried again it didn't work. 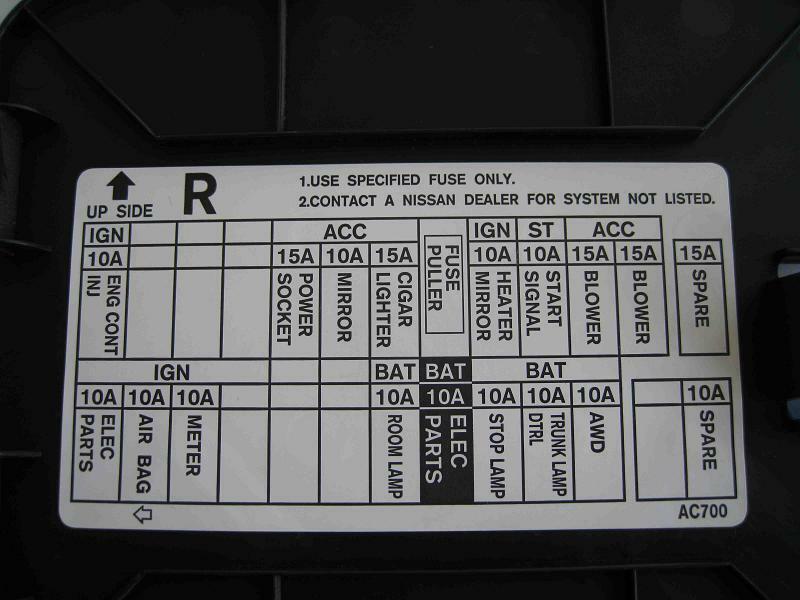 So, for sure.. there isn't a trunk fuse? help... before I send this damn car to the dealer. hmm I'm going through the same problem. will check fuses and trunk wires as those seem to be the main issue. Nothing will open the trunk other than the release inside the trunk. I've checked the wiring harness and it looks okay (did not take off the tape). The trunk light does come on. Seems like a bad fuse. Has anyone fixed this issue by replacing a fuse? If so, which one is it? I have the same problem as well.. WTF's up wit these cars. I also just payed $572 for my drivers side window motor replaced. Time to get that BMW.. Fixed the wires, but the trunk still does not open...my reverse lights are out too. Unfortunatly I am having the same problem. I checked the trunk harness wires and toggled the cancel switch but still cannot find the fix to this problem. The key FOB works to open the trunk but I cannot get into it with the 2 buttons on the car. Of course, back in 2006, the tech asked Infiniti if he could replace the wire harness, but they said no and only authorized another repair. They assured me at that time that I should have no further problems but of course I was concerned since the car would be out of warranty. Sure enough, when I called them, they said sorry, nohing they could do! Yesterday, I ended up finally doing the repair myself. There are 11 wires in total passing through that rubber sleeve (in my 2003 sedan) including 5 black (I'm assuming ground?) wires. Anyway I found 2 wires severed when I pulled apart that mess of previous repairs (using various colour wires and splice points). It would have been easier to just have replaced them all myself where I could have had longer pieces of clean wire to trace and splice. It took me almost 3 1/2 hours to complete the job using some ultra flexible wire. Hopefully this will last the remaining life of the car, but at least the shrink-tubed solder points are all accessible outside the rubber sleeve and in the trunk and chassis wire pass-through points. I'd recommend that if you haven't yet had the problem, to just do the repair prior to the inevitability of it, where the tech will cut the wires and do the splice leaving many of the wires with only 1/2" to 1" to work with in the future! The key FOB works to open the trunk but I cannot get into it with the 2 buttons on the car. Sounds like the same 2 wires broke on you that happened to me this time. I extended some of mine that were broken as well. 10K miles and 1 year later, no recurrence. Wasn't there a valet lock thing in the glovebox to disable those, or am I thinking of something else? for me my trunk would stop working randomly, im talking from the trunk,the key fob, and inside the car. the only way I could get it to work was either start driving again and maybe next time i get out of the car it works, it was me 100% random. I did find one fix however, as soon the trunk wouldn't open all i had to do was put the key in the ignition and turn it to the on position, once that happened I can use the key fob, inside the car, or on the trunk in the back and it would work like nothing happened. does anyone have any idea why it would do that? No idea but I do the same thing.